What is Blogging? 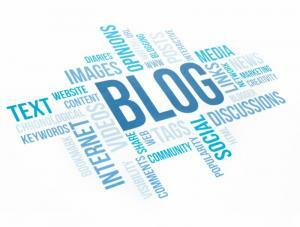 Blogging is a personal web log that was initially used to share feelings, thoughts and ultimately opinions. Today, it has grown into a unique platform that many businesses and corporations utilize as a marketing tactic to increase visibility and growth. As blogging has become more popular, several businesses are integrating both their websites and blogs into one web presence; however blogs serve as an exclusive marketing channel that set them apart from a traditional website. Provided are just three benefits and tips to starting or improving your own business blog. The web is full of fresh new content and blog posts are a great source to providing updated, frequent content. Blogging provides an easy way to keep your customers and clients up-to-date on what’s going on, share new information, upcoming deals, and provide tips. Blogging on a continuous basis provides search engines with new content and creates opportunities to increase visibility on a search engines results page, thus driving more traffic to your website. Blogging allows you to connect with your site visitors. Every time a blog is created, you produce an opportunity for your audience to comment or share your blog with others. Blogging is a great source to initiate feedback from customers and allows you to respond to reader’s reviews and comments. Reader engagement is critical because whether your blog post is linked, shared, tweeted or emailed; it’s free marketing and it further validates you as a creditable person or business. Blogs enable trust with your audience and allows you to gain valuable insight on what your current or future customers are looking for. Ask Questions: Giving your readers a reason to respond is never a bad idea. End your posts with questions or interesting thoughts to help initiate responses. Be Readable: Make sure your content is formatted correctly and easy to read. Using bullet points, subheadings, italics and bold faced font is eye-catching for your readers. Be sharable: Allow your readers to share or link your blog. Use hashtags or other alternative tags that audiences can familiarize with. Blogs are a lot more than just word posts. Blogs allow you to publish different types of content including videos, podcasts, infographics, interviews and images. When publishing different types of content, you can expand the reach of your blog and tap into audiences you would normally not have access too. Different content can also be shared across different mediums; something a single word post cannot do. Try a video blog: Creating a video will allow your viewers to see the “face behind the company,” as well as allow your video to be shared on multiple mediums. Make sure you have good audio, lighting and a camera that can produce an exceptional video. Try to keep your video at an adequate length; enough to provide valuable information while keeping your viewer’s attention. Embed Images: Using images catches the reader’s eye and helps them commit to the post. Specific images of products or services will help strengthen your content and provide valuable information to customers.